I don’t like bananas. It’s a texture thing for me. I do like banana flavored things and banana in things like banana bread, banana bars – just no straight bananas! When I was putting the cupcake menu together for the wedding I came across a recipe for banana cupcakes with cinnamon cream cheese frosting over at Genesis of a Cook. 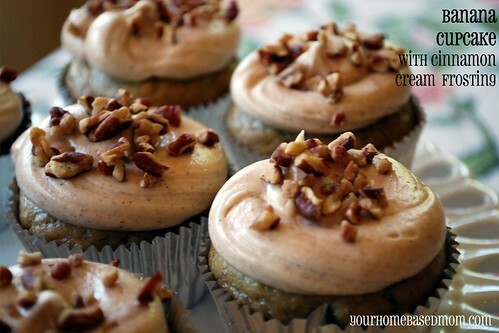 To be honest it was the cinnamon cream cheese frosting that caught my attention – yum! Because my house is being over run with cupcakes I am giving as many of the test run cupcakes away as possible. I took some of the banana cupcakes to a friend who was having a pretty bad day. I dropped them off at her house and just left them in her kitchen because she wasn’t home. About fifteen minutes later I got a phone call. 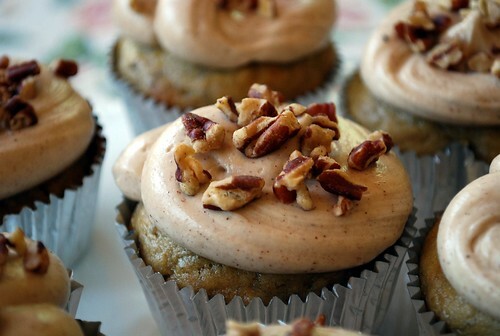 I could tell my friend had her mouth full of something – it was full of banana cupcake! She couldn’t stop eating them long enough to make the phone call so with cupcake in her mouth she told me they were SO GOOD and that they had totally made her pretty bad day not so bad after all! They are like eating banana bread only with a really yummy cinnamon cream cheese frosting on top! I am all about the frosting! 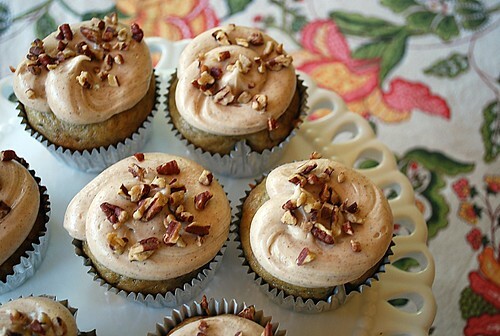 Because the cupcake looked a little plain on top I thought I would pretty them up a bit with some chopped pecans – now we have Banana Nut Cupcakes! They are going to make a great addition to our cupcake menu at the reception! These look absolutely delicious. I’m going to have to make these for my kids. Thank you for the recipe and thank you for a wonderful blog. Your posts always brighten my day. oh yummy! So how do you make all your frosting so pretty? Do you just use a big fat tip on an icing bag? I love it! Thanks! Thanks, Leigh Anne. We are looking forward to pictures of the “wedding cupcakes.” These banana ones look wonderful. When Grandma Camp is over, I will be cooking up a storm. It is a BLESSING to turn on the computer each day and receive your inspiration in so many different forms. You truly motivate me to be better and go outside my comfort zone. Yes I just use my biggest round tip that I have – It is a 7P – at least I think that is what it says as it is pretty old and worn off! My decorating tips were my mothers and are probably 45 years old – I love them! I’m with you, the frosting on these is what takes them to the next level!! Can’t wait to try these! I have really enjoyed these cupcake posts! Thanks for yet again another tempting treat that I simply must try…..right now! please excuse the previous email my 7 year old thought he was being funny when I turned my head. I think your recipe looks wonderful. I made these yesterday and they are wonderful!! I do have one question… I only used about half of the frosting. I put it in the fridge. How long will it last? I will have to make time to make more cupcakes and I didn’t want the frosting to go bad. Thanks!! So glad you enjoyed the cucpakes. The frosting recipe does make a lot. I found I could frost twice as many cupcakes with it. I would think it would last in the fridge for 3-5 days and be fine. Enjoy! Hi there! 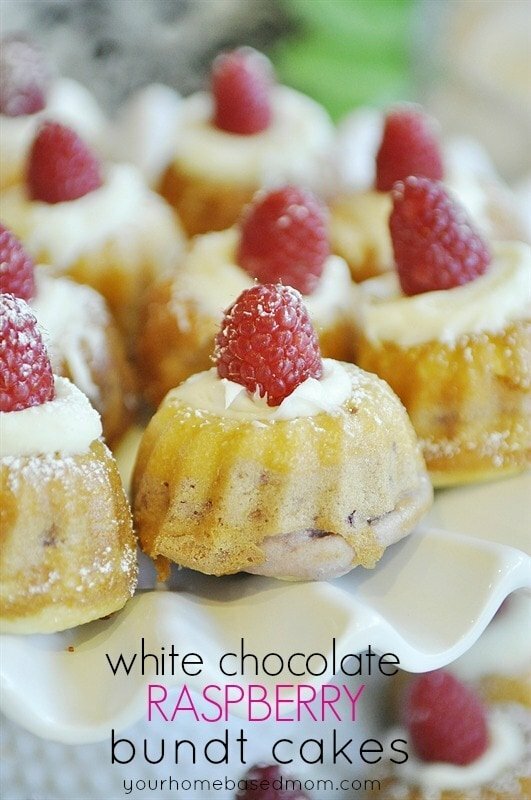 I am making these right now… they’re in the oven!! I can’t wait! GREAT cupcakes. I left my bag of bananas in the car overnight and they FROZE and turned black but they still made great cupcakes!! 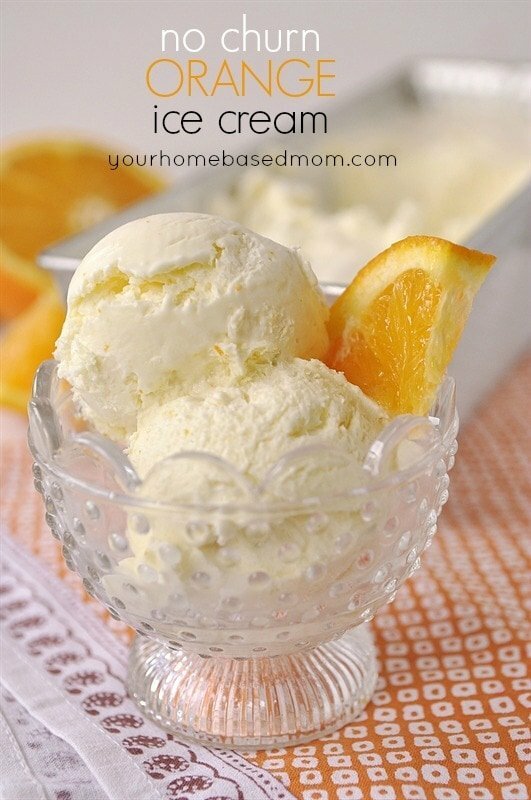 Great tip for getting bananas to ripen fast – put them in the freezer! Glad you enjoyed the cupcakes! How did you make so many cupcakes for a wedding and keep them? Or did you have lots of help? My son’s fiancee wants cupcakes for their upcoming wedding and the budget is tight so homemade would be cheaper I have told her I would be happy to help (i’ve been assigned the cupcakes). Just finished frosting the banana cupcakes for my mom’s birthday tomorrow. I can’t wait to bite into one! I just had a wild hair for banana cupcakes to take to a family reunion tomorrow. I knew if I looked on your blog you would have one! 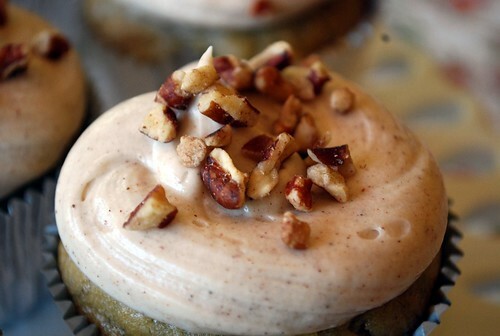 I am going to try these with peanut butter frosting. Just made it few day ago … Fantastic cupcake !! So glad you liked it and I think the idea of adding chocolate is brillant!! Chocolate makes just about anything better. I thought they were nice and moist.